Garden Villas stacked condo townhomes are located in Mississauga Churchill Meadows. This townhomes complex was built by Great Gulf Homes in 2008. Garden Villas are great start up homes for young families which do not want to spend $$$ and yet want to own new,with nice layout real estate in Mississauga. Garden Villa offer the warmth of nature brick and stone exteriors, with dramatic architectural detailing inside and out. At the heart of this safe and secure neighbourhood is playground area and informal siting areas. Throughout this neighbourhood you will find extensive plantings and rich landscaping details that include welcoming pedestrian-only access point, featuring interlock brick, pavers, decorating masonry walls and entry monumentation. There are several types of townhomes in this complex. Ranging from small just over 1000sf "Tivoli" models with small backyards to the largest over 1600sf "Mayfair" models with 2 balconies! Smallest units are have 2 bedroom floor plans and the largest ones have 3 bedroom floor plan. Condo fees include parking,water,common elements and building insurance. Garden Villas are located close to highway 403 and 407. 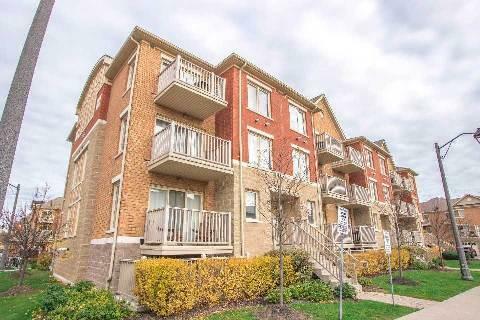 Nearby is Erin Mills Town Centre with Grocery Store,Banks and many other stores.